Virtual Desktops are one of the best tools a business can use to improve aspects as reliability, speed, security, versatility, and costs reduction. 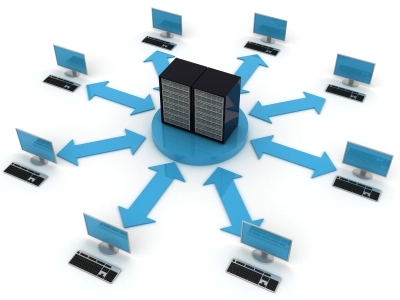 This can be inferred by outlining the main operational benefits of using Virtual Desktops. First, the same image can be shared by all the virtual desktop users, which means that each user will be able to access the same operating system with the same installed applications. This saves time and costs on training and operations. Second, once a hardware upgrade is required to run specific software or a new operating system, upgrading only the Virtual Desktop server will be enough to allow all the users to access the new software/operating systems from their own devices. Third, no investment will be needed on high-performance storage, premium systems, power supplies, or high band-width networking since the Virtual Server provider will also provide all the structure necessary to support equal performance to all users. Fourth, time can be saved by installing and updating drivers, patches, and applications only one time each since they will be accessed through the same server. Fifth, since images can be accessed from any device, software problems can be solved from the data center, and, in case of hardware issues, the user can simply switch to a different device to continue to use the Virtual Desktop while the problem is being solved. Bonus: the user is able to work from anywhere and at any time of the day just by having a compatible device with internet access. These benefits can bring great improvements to businesses due to the flexibility that Virtual Desktops provide, and that’s why this tool is becoming so popular between companies that rely on computers to run their operations. 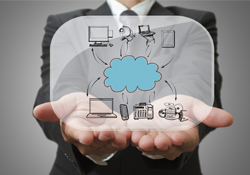 It’s no secret, the cloud computing trend is starting to become unavoidable. From start up companies to companies that make billions in revenue, business owners can benefit from these products and services. Oxford Economics conducted a survey last year with 350 business executives. Results show the correlation between cloud computing and increased revenues – mainly from the aftermath of company collaboration improvements. Check out the infographic below and see what else was determined! As a small business owner or future entrepreneur, you understand that saving time and saving money whenever possible are both critical to your success. Whether you are just starting out or your business is more mature, cloud software and services can help you cut costs while also freeing up your time so you can concentrate on doing what you do best – running your business. Cloud computing is a way of leveraging the Internet to consume software or other IT services on demand. Users share processing power, storage space, bandwidth, memory, and software. With cloud computing, the resources are shared and so are the costs, making cloud computing very much a business model as well. If you already have a computer and an Internet connection, you can very likely take advantage of most cloud offerings without investing in any new hardware, specialized software, or adding to staff. There are no power requirements or space considerations to think about and users do not have to understand the underlying technology in order to take advantage of it. You will not be responsible for maintaining and updating any new hardware or software. Planning time is considerably less as well since there are fewer logistical issues. Large upfront fees are not the norm when it comes to cloud services. Many software as a service applications and other types of cloud offerings are available on a month to month basis with no long term contracts. Cloud computing can be scaled to match the changing needs of your small business as it grows. You can quickly add additional licenses, storage space, and more as needed. You can usually be up and running significantly faster with cloud services than you can if you have to plan, buy, build, and implement in house. With many software as a service applications or other cloud offerings you and your team can start using the service within hours or days rather than weeks or months. Because services are offered over the Internet, you are not limited to using cloud software or services just at work or only on one computer. Access from anywhere is a big advantage for people who travel a lot, like to be able to work from home, or whose organization is spread out across multiple locations. Most web-based software and cloud services are not designed specifically for any one browser or operating system. Many can be accessed via PC, Mac, on tablets like the iPad, and through mobile phones. 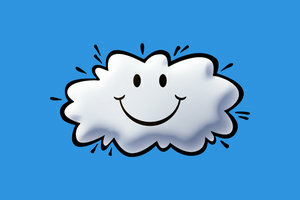 Cloud computing is not one size fits all. That said, performance, network bandwidth, security, and total cost concerns can be allayed through a better portfolio and investment approach that considers the multitude of options available.